Over 60% of all household fires start in the kitchen. A significant number of these could be prevented with SONA cooker safety devices. The SONA Stove Guard will turn off a cooker before a fire can start. 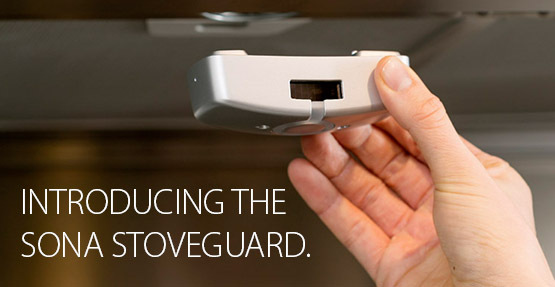 The SONA Stove Guard is an intelligent, self-learning fire safety device with advanced, technology. The alarm reacts in a high risk situation before a fire can start, turning the cooker off and activating additional alarms if needed. Or click here for full product details.